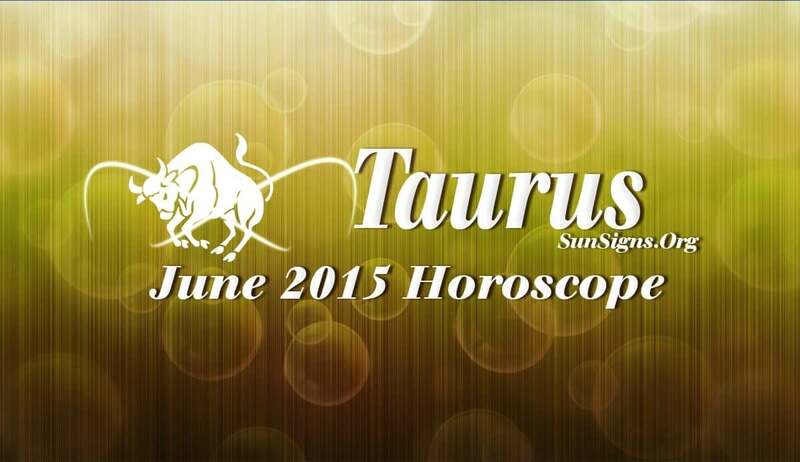 The Taurus June 2015 Horoscope predicts that domestic concerns and spirituality will be the essence of this month. You will be searching for the inner beauty of your existence and there will be many wonderful experiences. This month June 2015 is auspicious for purchasing a new house and beautifying your residence. The Taureans will be very much interested in academic studies and will have the time to enhance their intellectual capabilities. In June 2015, the professional life of the Taurus zodiac sign will not be very significant. Nothing much will happen in your job or business. You might be even feel sleepy at work as nothing seems to be interesting. The financial position of Taureans will be fabulous during the month. Your fiscal intelligence will be strong in June 2015. Financial targets will be accomplished easily and you will have plenty of money to spend on luxuries for your spouse. The June 2015 Taurus love horoscope predicts that love will be volatile this month. There may be problems in the family over money matters. Singles will have to be patient while choosing their romantic partners. Here are a few romantic ideas to woo your lady. Friendships will see major changes. Weak ones will wither while strong ones will flourish. You look for spiritual compatibility in your love relationships. Health will be magnificent during the month for the Taurus. It can be made better with a good fitness routine and by eating healthy food. Personally you look very charming in this period.